Happy new year to you all and thanks for the support throughout 2015. Holding my hands up to the fact that it wasn't a notable year from a blogging point of view. The house move last Christmas, 4 months of renovations, followed by easter, then summer...excuses, excuses....but it all meant that I got out of the way of blogging regularly. I became a blogging lazy arse really and I enjoyed it - a little too much some would say (husband). 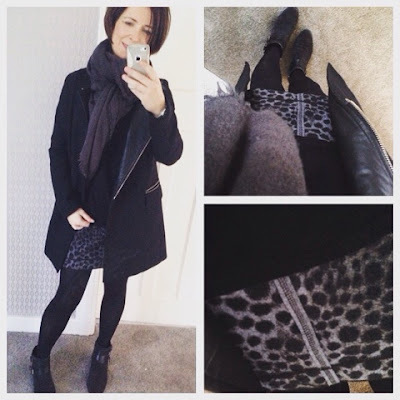 Now we're into a new year, I am hoping to get back to a more regular blogging schedule again and to focus the mind, I thought I'd set out my Style Resolutions...a kind of checklist I'll keep close to hand when I'm making any purchases or having a wardrobe cull over the next 12 months. Hopefully you'll find some of them helpful too. 1. 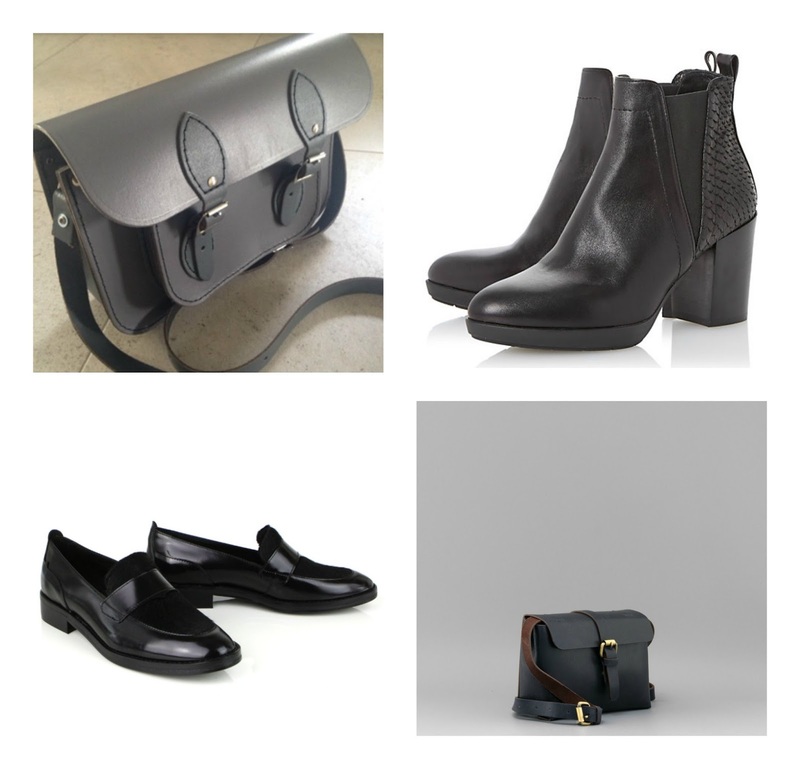 Basics....my wardrobe is slowly accumulating quality basics and will continue to do so this year. 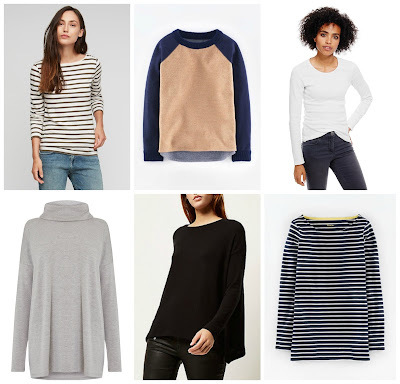 They don't have to be expensive - just nicely made in good fabrics and, well.... basic! Having worn a very simple capsule wardrobe since about September, I'm finding my wardrobe shrinking (in a good way) and my daily 'what to wear' dilemma is no more. 2. Leather...during 2015, I've managed to avoid synthetic shoes all year (apart from a gifted pair that I brought to Boston and had to throw out while there as the heel snapped....says it all!) but I caved and took a couple of faux leather bags into my collection. I know in my heart however that they're not keepers....it's just a false economy. No more this year. Note - there's a closing down sale over in the shop on this link - though there's very little stock left! 4. Take a chance...if I've learned anything since starting this blog it's to try most things at least once. 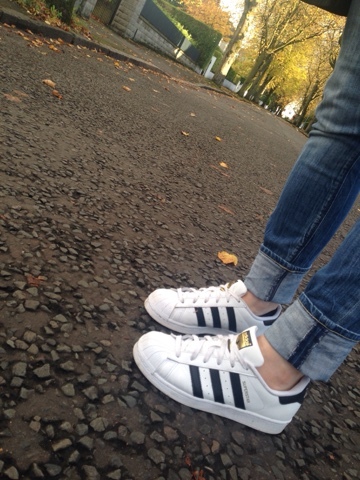 I used to be such a bore in regard to my style and had a list of things I swore I'd NEVER wear (including trainers!!). And that's the best thing about personal style blogs. You get to see styles and trends on all shapes and sizes, in a ton of different ways and it helps you to see how that trend might work for you. A shop website or magazine could never do that. So amen to all the ladies on my blog roll - the blogs I read regularly and who inspire me endlessly. I've never professed to know anything about fashion so I rely on my stylish blogging friends to try things out and show me how to work it! This is a good time to offer full credit for the trainers to Joanna. 5. Reduce/Reuse/Recycle - I've always been good at selling on or donating my wardrobe and have a fairly strict 'one in/one out' policy but 2015 saw me really embrace pre-loved and consignment. I got several of my most favourite pieces from local store Deja Vu, most notably my Gerard Darel coat which I've worn 3-4 times a week since I got it in October (even contemplating getting a second one from eBay as back-up). I urge you to seek out your local store and go for a rummage. I visit Ruth in Deja Vu about once a month and sometimes I buy, sometimes, I come out with money from the items she's sold for me. If your local store has a good owner, they'll keep you posted if something comes in that you might like and get to know them and they will let you take things on appro to try on at home. Throwaway fashion is just not sustainable so getting quality items that have been gently worn at a fraction of the cost is a far better arrangement. Of course, charity shops are excellent too - I have a few local favourites that I visit regularly too! You'll rarely get the quality labels that consignment shops have but in fact - you just never know! So with those 5 resolutions in mind, the 5th year of School Gate Style commences! 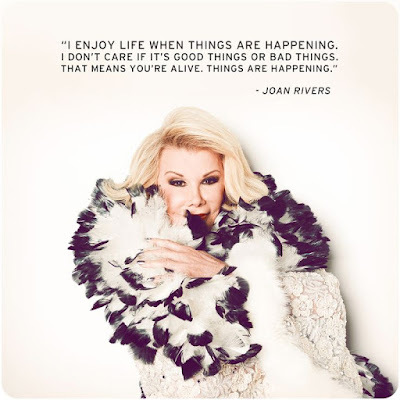 I'll leave you with a quote from the wonderful Joan Rivers. This year will be a good one for many, a more difficult one for some....let's make it one to remember. Happy New Year! Great checklist and completely agree with you about the bags. I've done a huge cull on mine and nothing synthetic made the cut! Looking forward to doing the same with my wardrobe .. when I can gather the energy that is!! It's good to be able to take a step back and review what works and what you don't think works and then find that it works after all - if you do it your way (remember the boyfriend jeans way back?). Onwards and forwards in to 2016 and your fifth year ... I'm coming up my fourth and I'd never would have thought I'd get this far. How do you find selling stuff through deja vu? I mean, does it work better for you than eBay I have a few bags & bits I want to move trying to decide on best way. I'm afraid of going in case I leave with more than I go with lol.